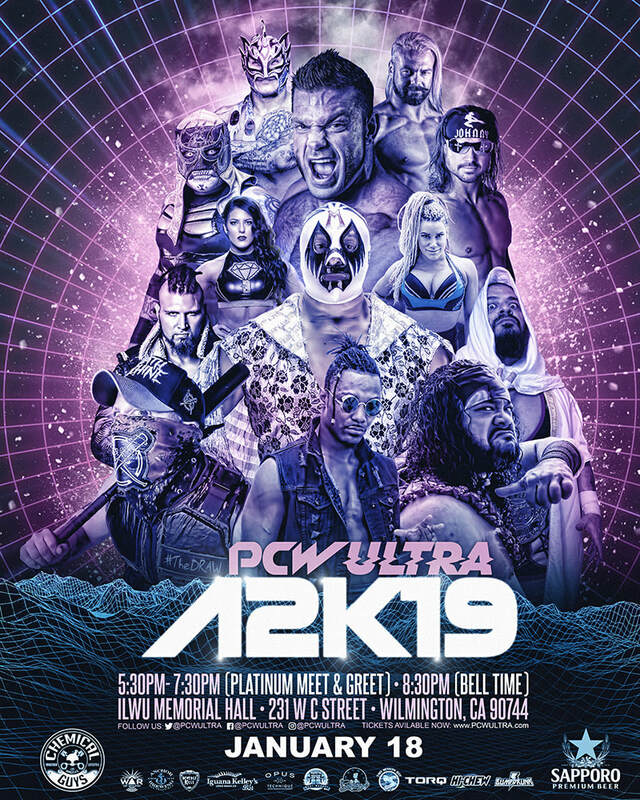 PCW ULTRA | A2K19 | 1.18.19 | WILMINGTON, CA. 1.) Tessa Blanchard defeated Taya Valkyrie to retain. 3.) Jake Atlas defeated Fidel Bravo, The Oracle, Eli Everfly and Douglas James to become the NEW ULTRALIGHT Champion. 5.) Sam Adonis defeated Garza Jr. by D.Q. 6.) Worldwide Underground (Johnny Ultra/PJ Black) defeated The Lucha Bros. 7.) Shane Strickland defeated Brian Cage to retain.